What data are you looking for ? 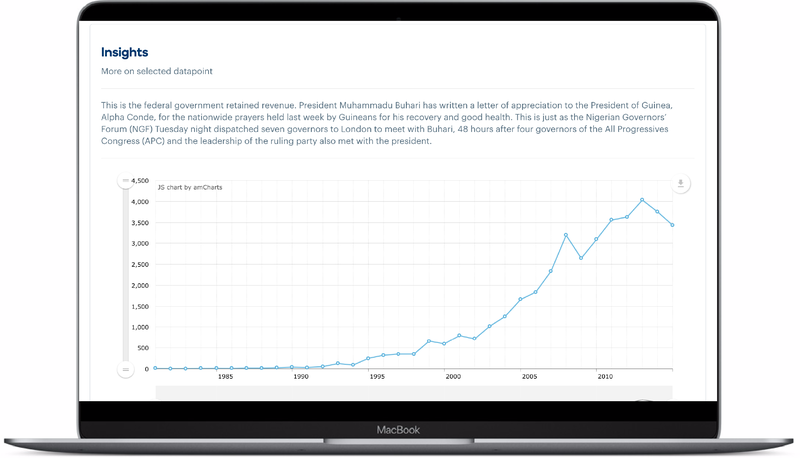 This platform is built to provide data linked to Nigeria in a simple charts that citizens can access. Data will be sourced from different platforms with the right attribution with huge efforts on ensuring accuracy and quality. 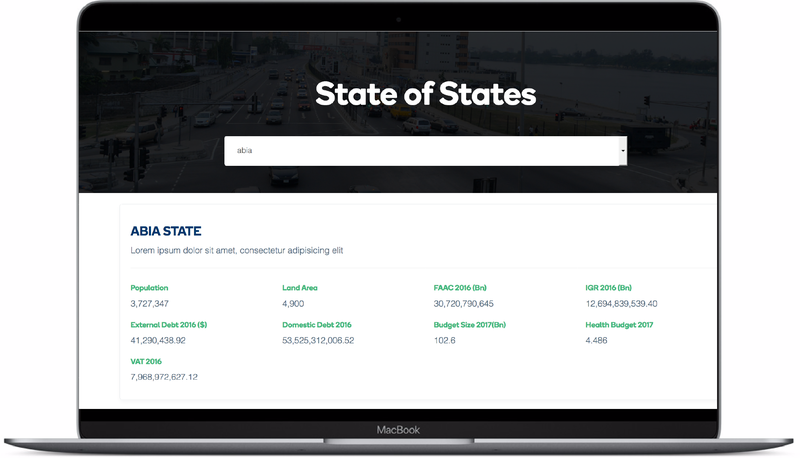 We have aggregated relevant datasets for states in Nigeria, using the platform to show trends in statistics related to education, health, public finance and socio-economic data. 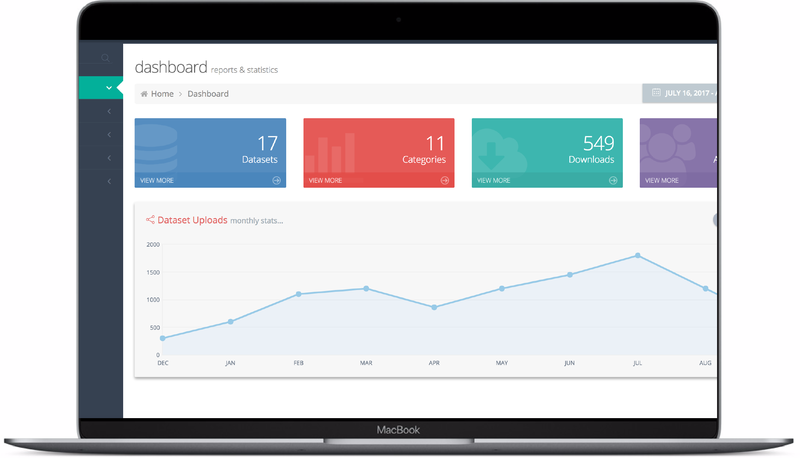 This platform will be extended to provide trends on financials of public data, giving insight to relevant data using our emerging Artificial Intelligence architecture. As a platform synonymous with public finance, this place provide quick data with smart visualization on data related to taxes, resource revenues & expenditure. Walk through our journey and learn it is being done with precision and data quality guarantee. 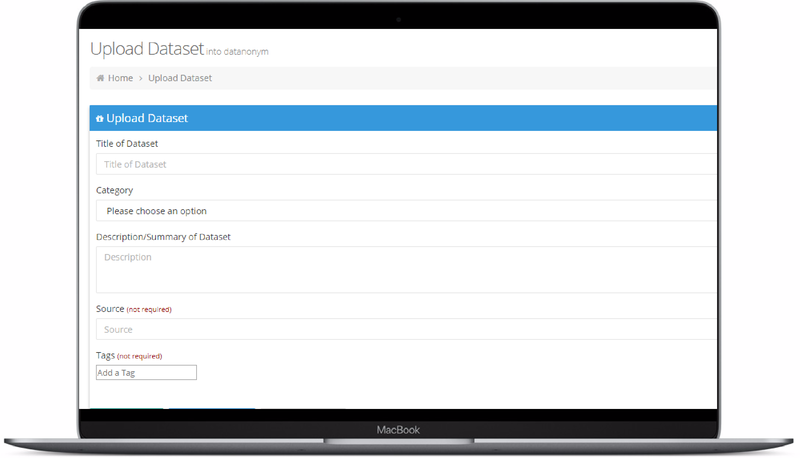 Can't find the data you're looking for?